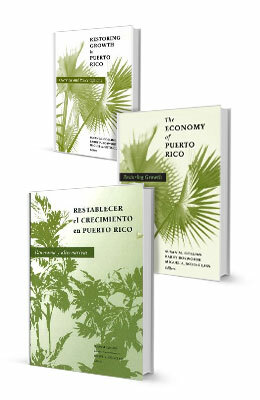 Contributions to the Center for a New Economy are fully tax-deductible under Section 501(c)(3) of the IRS Code and Section 1033.10 of the Puerto Rico Internal Revenue Code. 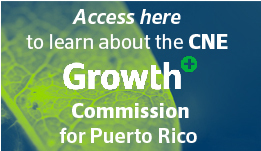 The Center for a New Economy (CNE) is an independent, private, nonprofit organization devoted to nonpartisan research, education, and publication in economics, public policy, and the social sciences generally. 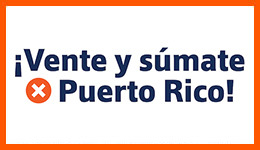 It is chartered as a 501(c)(3) charitable organization with the U.S. Internal Revenue Service and registered as a nonprofit corporation with the Puerto Rico Treasury Department. The organization’s finances undergo a yearly external audit to assure CNE’s compliance with the generally accepted accounting principles that apply to nonprofit organizations. Since its founding in 1998, CNE’s work has been entirely financed by donations from individuals and private foundations. The Center does not accept any funding from the government or from political parties.CNE’s views and its research agenda are set solely by its Senior Management with support from its Faculty. CNE does not engage in any work for hire. In order to safeguard the independence of the research staff in the pursuit of their studies, all fundraising efforts are separate and insulated from the research and policy work. Contributors to the Center are advised that their support will not in any way control, determine, or influence the conduct of particular investigations or the conclusions reached as part of those research endeavors. Given that the Center maintains a position of neutrality on political issues in order to uphold the intellectual freedom of the staff, interpretations or conclusions in CNE publications should be understood to be solely those of the authors and should not be attributed to the Center, to its directors, officers, other staff members, or to the individuals and organizations that support its research.